IT must be a puzzling thing to be a Sinn Féin representative and be required to respond differently based purely on which ear is being addressed. In the left ear, when standing for election in the Commons, a voice whispers: I will do everything for my constituents, except take my seat in parliament; I will serve them faithfully in all matters, so long as it does not involve offering a voice in all debates concerning their future; I will also strive to make sure their rights are championed, so long as I am not required to vote on all matters critical to their interests. In the right ear, should the representative be a member of the Assembly in the North and were that body not in cold storage, a voice just as insistent will insist they be just as assiduous in doing all possible for their constituents bar actually taking their seats. Thus in Belfast and London, the party is content to play the role of a dead-man's brake on all political machinery. By its reckoning, the historic oath of allegiance to Queen Elizabeth must take precedence over any pressing political priorities of today. Yet party MPs can, and do, bill her majesty for their services, and have no difficulty accepting that same queen's shilling for their highly selective services. Its abstentionist policy in Westminster has given the DUP the whip-hand on all Brexit- related decisions, past and future. Its allegiance to the past thus bolsters the ranks and potency of hardline Brexiteers. The party has arrived at a juncture where it can continue hauling its historical baggage, or it can shrug the dead weight off its shoulders. It might then use its strength to help pull the Brexit deal back from the brink. 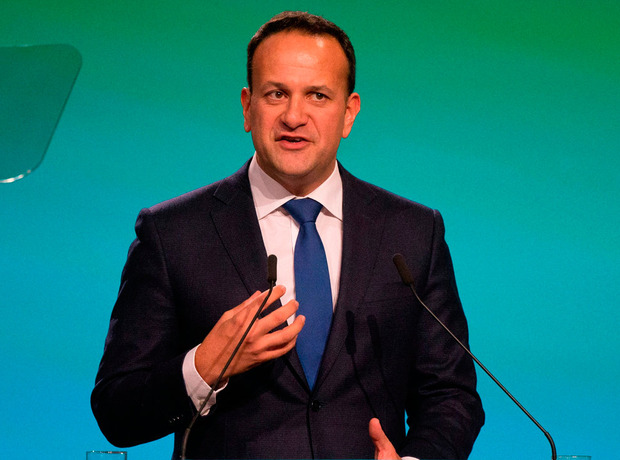 Taoiseach Leo Varadkar suggested if Sinn Féin members felt they could not take up their seats, they should consider resigning ahead of a vote on the Brexit deal. He pointed out Sinn Féin is an unusual party in that it is not taking up its seats in Westminster for one reason, nor in Stormont for another. His logic is flawless. People who get involved in politics do so to make a difference. Opting out of a vote - or indeed votes, should that come to pass - could unleash economic chaos and undermine the peace process, and that amounts to moral desertion. The pages of history are there to be turned, indeed the future depends on it. In 'Lost Rights: The Destruction of American Liberty', James Bovard writes: "Democracy must be something more than two wolves and a sheep voting on what to have for dinner." And it must. Three decades ago, the party turned its own tradition on its head by taking seats in the Dáil. If it is to have any credibility as a democratic party, it can not cop out of taking tough decisions. It must either react or be redundant.